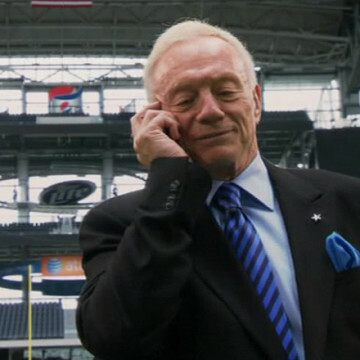 Dallas Cowboys president and owner Jerry Jones offers cameo appearances in two episodes of Entourage, first during S07E02 and again five episodes later in S07E07, Tequila and Coke. He stops into Ari Gold’s office at the fourteen-minute mark of his first Entourage episode to discuss the NFL’s TV rights. Jerry and the other league owners refuse to relinquish television rights to Ari’s agency but suggest that he consider bringing his own NFL team to Los Angeles.